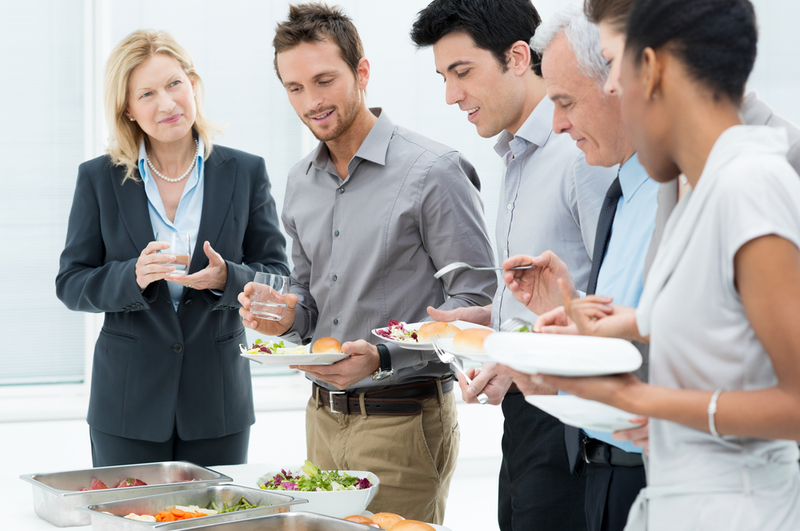 Cater with Corner Office Gourmet for a professional, worry-free, and tasty catering experience! Corner Office Gourmet for Businesses! Corner Office Gourmet specializes in corporate catering of all levels. Whether for high level executive meetings / sales presentations , or for the weekly office lunch provided by management, Corner Office has something to match your budget. Most catering services are delivered and served on high end white plastic buffet trays with lids, disposable silver cutlery, and the appropriate plates, tongs, spoons, etc.